The National Kitchen and Bath Association held its Kitchen and Bath Industry Show (KBIS) January 9-11th at the Orange County Convention Center in Orlando. KBIS is an annual trade show that unites over 500 exhibitors in the kitchen and bath industry. Attendees vary from manufacturers to designers to consumers, but they all share an interest in learning about the latest industry trends. We received a visit from the DIY Network camera crew, filming some of our products to be featured on an episode of I Want That. The show will air in the fall of 2018 and highlight products new to the market and provide unique options to consumers to consider for their homes. The crew was eager to capture footage of our StraightLine drawer organization system and our Base Pullout, featuring our new Baker’s Tray option. The products we showcased at KBIS covered all aspects of kitchen storage with base and wall cabinets, pantries, blind corners, and drawers built into our booth. The iMove removes the need for a step stool and maximizes storage space. With its intelligent pull-down system, it makes the top shelf easily accessible while keeping all items organized and in their place. In most kitchens, the blind corner cabinet is hard to get to and hard to organize. 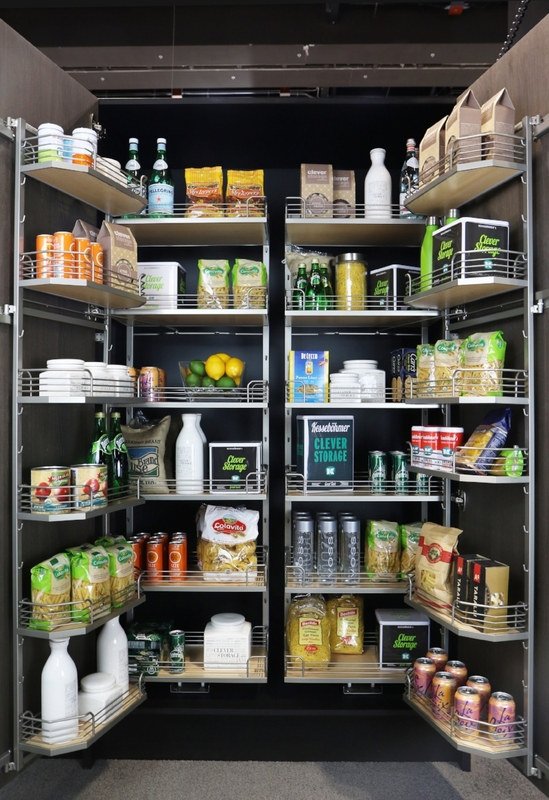 The LeMans II and LeMans Highboard settles that issue by providing pull-out trays that maneuver flawlessly to provide a hassle-free corner cabinet organization system. 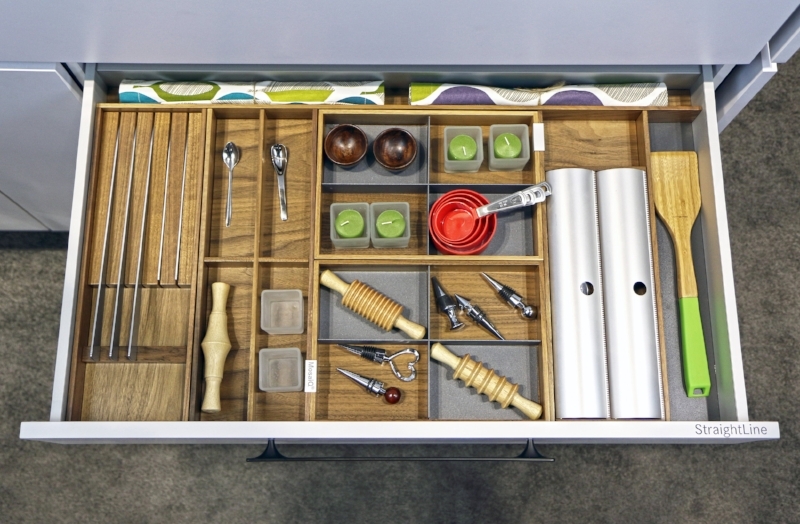 Our StraightLine drawer organization system has the ability to adapt and organize just about any drawer you can think of. It is completely customizable, and allows each component to link and separate as you wish. The Tandem family is our line of classic pantry organizers, with shelves strategically placed on the doors as well as inside the pantry itself to create the ultimate organization experience. Simply open your pantry doors and the inner shelves glide out to meet you, allowing you to easily see and reach all of their contents. Image shown is of a double Tall Tandem Pantry.